Are you looking for something different and special for you next holiday ? We have the perfect answer. 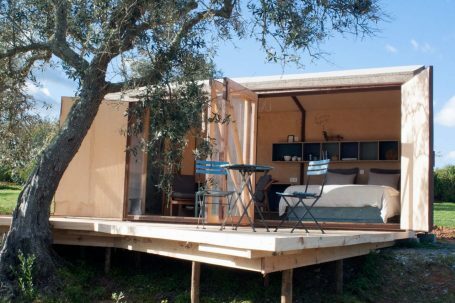 Situated in the heart of the beautiful Alentejo Region of Portugal we have on our site a perfect getaway for two people. Historically called a Shepherds Hut our brand new Chalet ” Choupana Abilardo” offers the perfect tranquil place for you to enjoy scenery and nature at it’s finest.